Modular architecture begins in a modern, controlled factory environment where the buildings are precision engineered for a lifetime of trouble-free structural durability. 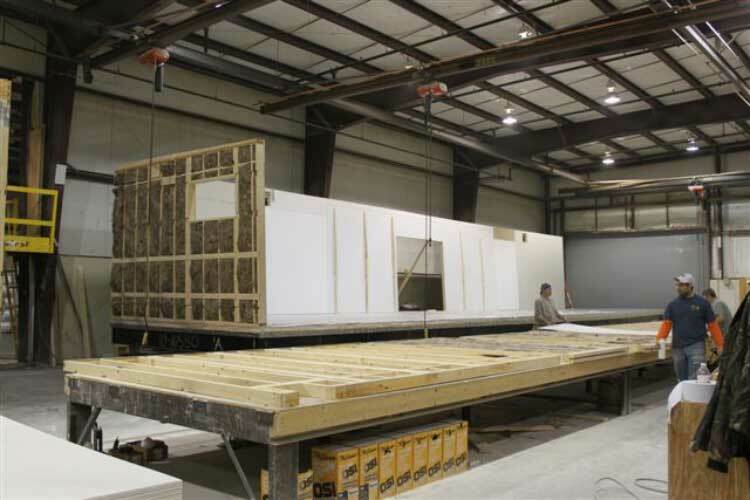 Structural Properties– Modular buildings are generally stronger than conventionally constructed buildings. Each individual module is engineered to independently withstand the rigors of transportation and craning onto foundations, therefore they are designed to be stronger. Building Materials– Factories are able to store building materials indoors where they are protected from damaging weather conditions and theft. Factory environment- The factory offers a climate-controlled environment where the workers assembling the modules are employees working together towards a common goal. The factory is well lit and work is done close to ground level versus several stories high. At Triumph we work to continuously improve overall quality while keeping cost in mind. Quality concerns don’t end in the factory, we work to make sure the quality controls already in place are executed throughout the final installation on-site.